Traditional or not… red roses are the most iconic Valentine flowers which are loved. 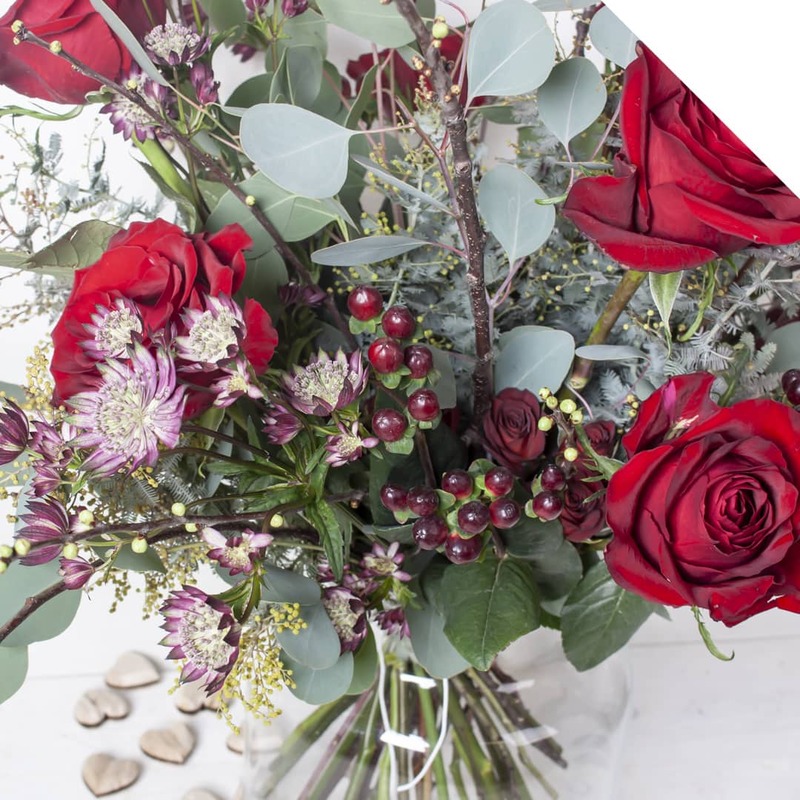 Our Valentines bouquet with Roses is genuinely romantic, and together with the beautiful Astrantia Star of Flame, Eucalyptus Populus and Hypericum Rocky Romance form a bouquet that your loved one will never forget. 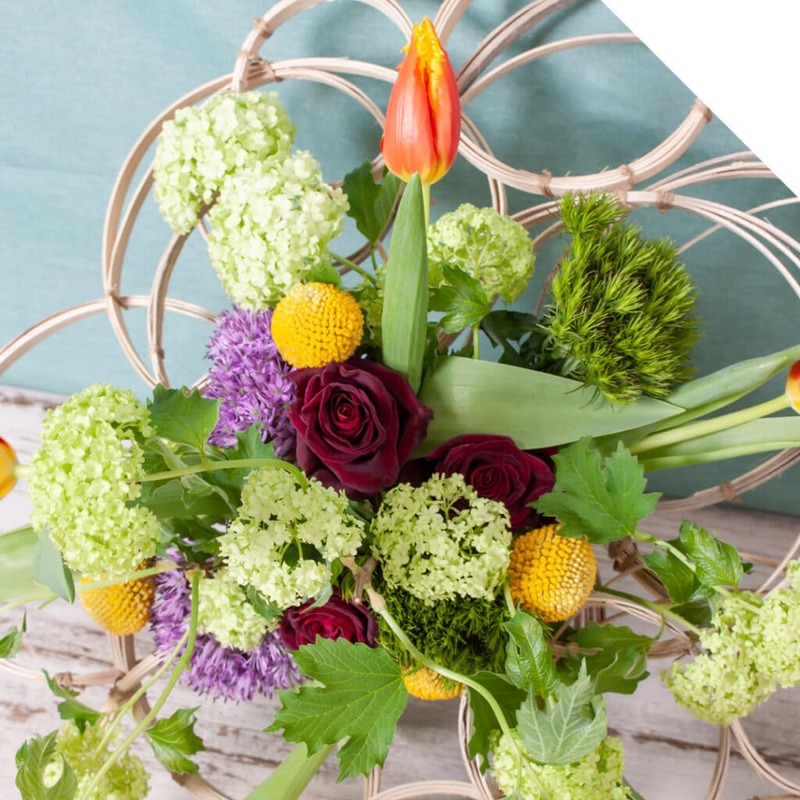 Be inspired by this tutorial, follow the steps and create this romantic bouquet! Start with the Eucalyptus and Hypericum. Now add the Astrantia, Acacia and some of the Roses. Make sure to spread everything evenly so the bouquet is nicely filled. 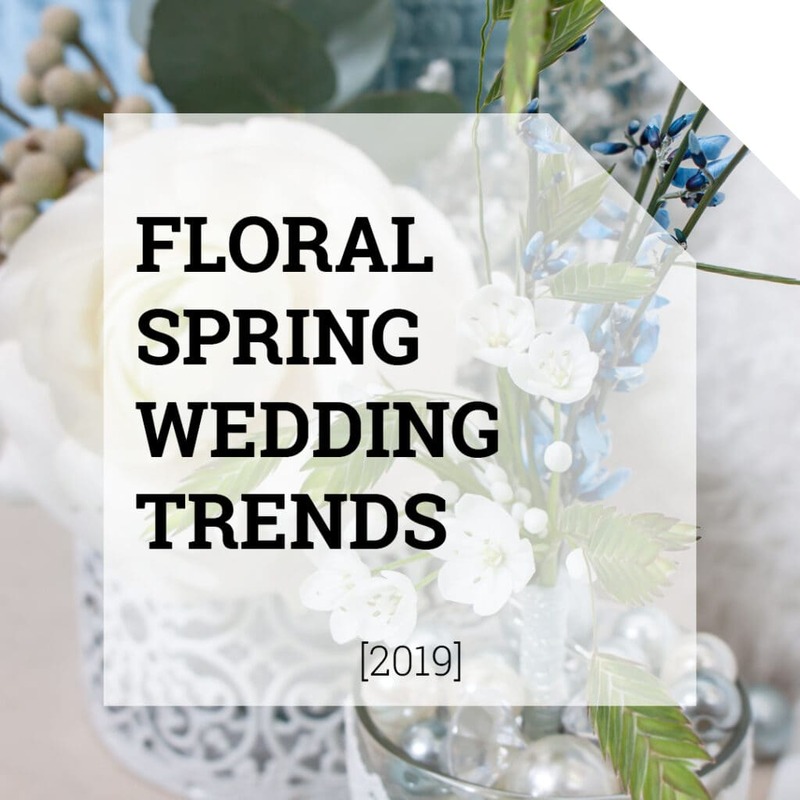 Continue to add the flowers.. your bouquet is almost ready. Cut off the stems at the desired length. At least cut them at approx 2 cm from the end of each stem. 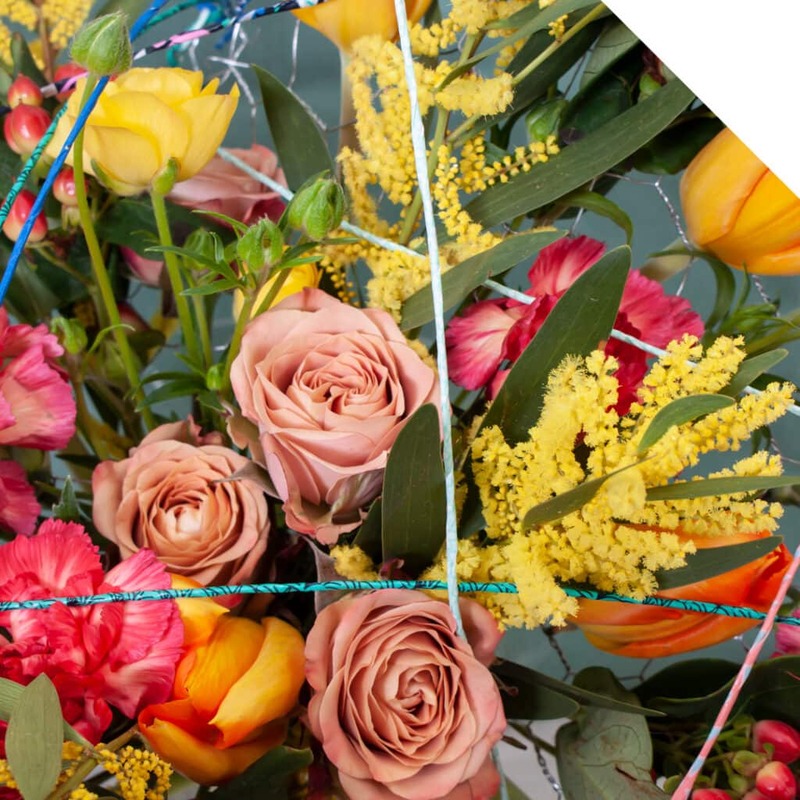 Tightly secure the stems of the bouquet with the rope. This holds the flowers together. Your Valentines Bouquet with Roses is now ready for use. Enjoy!